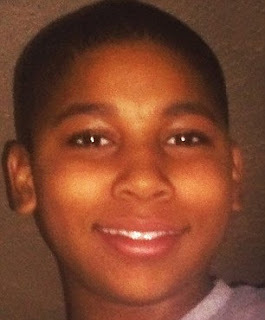 Timothy Loehmann, the Cleveland police officer who fatally shot 12-year-old Tamir Rice in 2014, was fired Tuesday -- not for the shooting, but because investigators found he wasn't truthful about his employment history when he applied for the job, officials said. The officer who was with Loehmann, Frank Garmback, will be suspended for 10 days because he violated tactical rules relating to how he drove to the scene that day, the city's public safety director and the police chief said. An Ohio grand jury declined to criminally charge the officers in 2015. None of the rule violations announced by Public Safety Director Michael McGrath and Chief Calvin Williams directly related to Loehmann shooting Rice outside a recreation center as the boy held a toy gun on November 22, 2014. "After over two years of investigation by our agency, the county prosecutor's office (and) the sheriff's department, I think we've come to what we consider a fair conclusion to this process," Williams said. Rice's mother called the actions against Loehmann and Garmback "deeply disappointing." "I am relieved Loehmann has been fired because he should never have been a police officer in the first place -- but he should have been fired for shooting my son in less than one second, not just for lying on his application," a statement from Samaria Rice read. "And Garmback should be fired, too, for his role in pulling up too close to Tamir," Samaria Rice said. "As we continue to grieve for Tamir, I hope this is a call for all of us to build stronger communities together."